HologramStudio offers consultancy to businesses and organizations that are planning to use holography. Holography is a well known form of brand protection, using a hologram anyone in a supply chain from consumer to producer can easily verify if a product is authentic. As a producer you want to prevent counter fitting of your products. As a consumer, you want to make sure you have the original product, and not an inferior and possibly unsafe counterfeit. A hologram ensures the consumer that the product is genuine and can easily be identified as such. For a producer the hologram will not only maximize your sales potential by preventing counter fits, more important the brand name is effectively secured from fraudulent copying. Security products where we can provide advice on include: Holograms, OVD (Optical Variable Device), DOVID (Diffractive Optically Variable Image Device) or E-beam imagery. Drawing up a list of requirements for the design and security of your hologram. Distinguishing the different types of holograms and identify what is the right choice for your project. Selecting the right manufacturer based on your project specifications and conducting price negotiations. Monitoring the quality of the design and production of your holograms. Budget control of the entire process or just specific parts. Delivering the optimum solution to secure your product line. Monitoring the security of the solution in regards to advancing production techniques. You have an operational security document and you want to evaluate whether the security is still up to date? Is there fraud possible and how can this be tackled? Security holograms appear on f.e. Euro banknotes, passports, bank checks, credit cards, debit cards, access cards, diplomas and certificates. Our expert Tijn van Heerden is regarded as an image pioneer. He researched Holography at the Vrije Universiteit and Loughborough University He has published in various Journals.He was production manager origination for one of Europe's largest security printers. 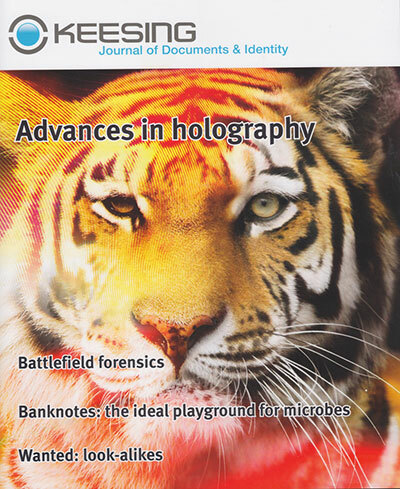 ;In a recent quest for the Dutch National Bank he recognized all forged holograms on sample bundles of Euro banknotes. ;Because of his expertise a hologram designed by him has recently been added to the permanent collection of the MIT Museum. He is currently participating in the University of Amsterdam's Tech Venture lab at SciencePark.